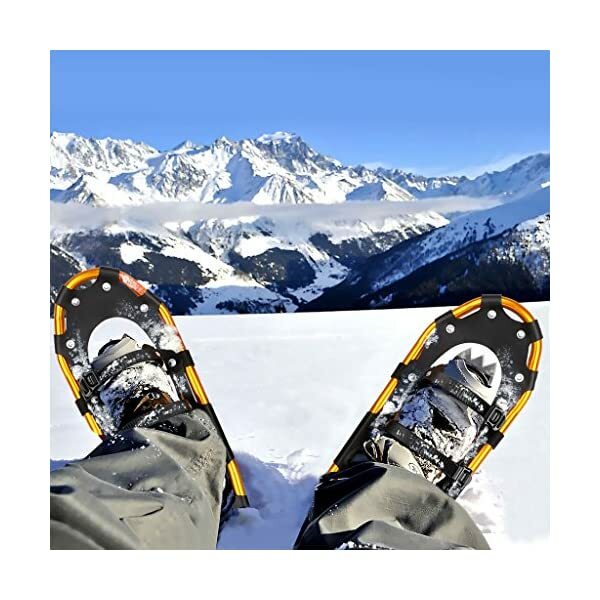 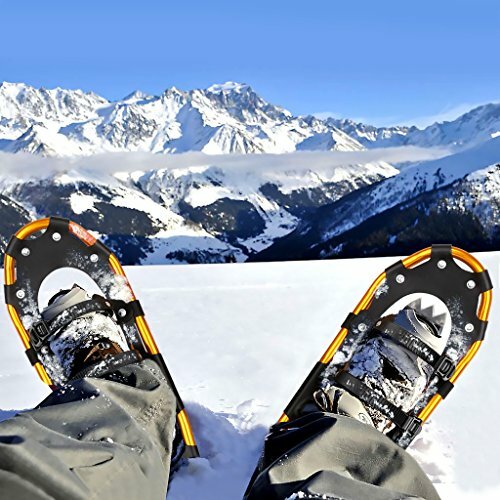 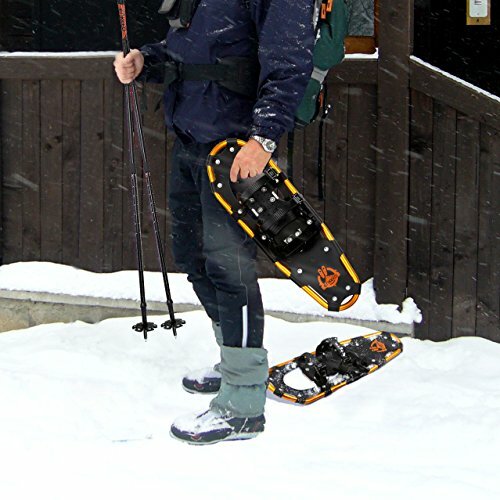 The lightweight and prime quality snowshoes are designed to provide ultimate ease of use and comfort. 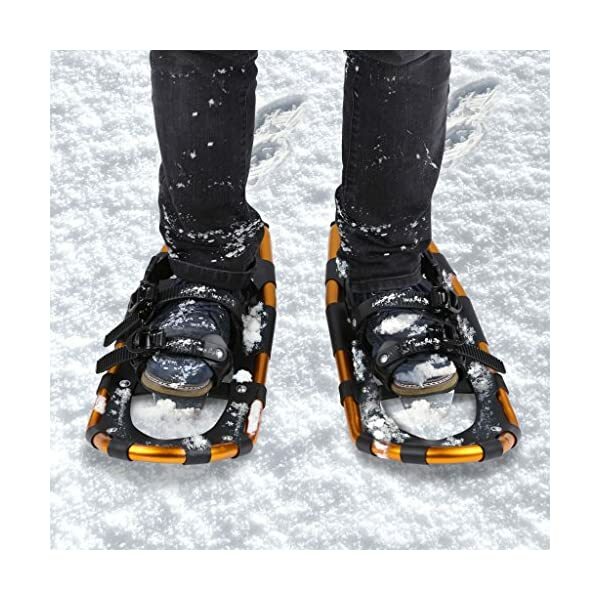 The strong aluminum frames feature an ergonomic and streamlined shape that makes walking easy. 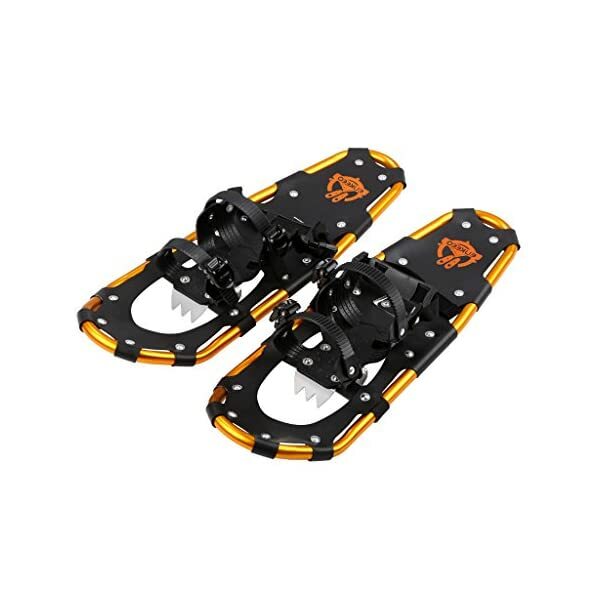 And double ratcheting bindings fit all kinds of winter boot shapes and sizes, requiring a quick tug of webbing straps and heel adjustment. 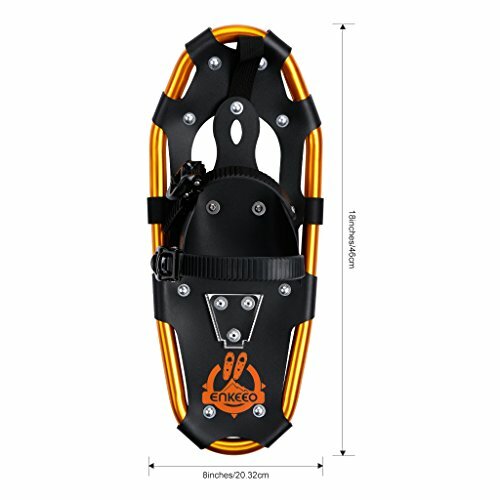 The shape frame features a curved rear end, minimizing the dragging effect when walking forward and increasing maneuverability when going backwards. 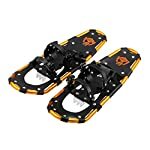 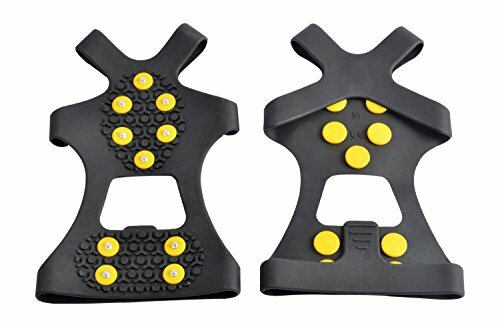 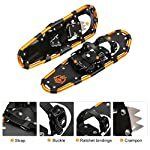 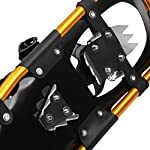 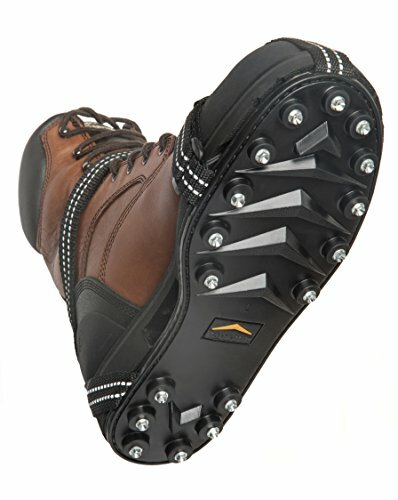 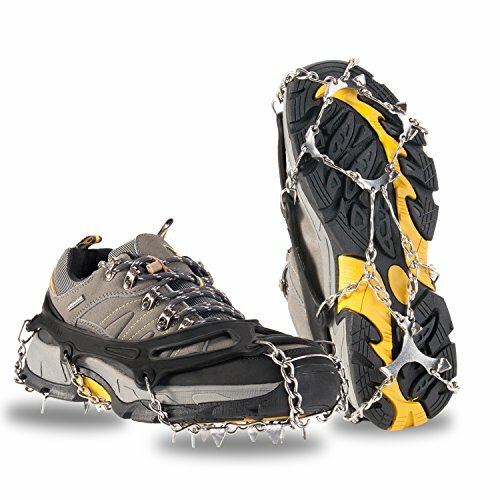 What?¡¥s more, the heel strap and aluminum teeth of crampons provide increased traction and comfort on packed snow and moderate terrains that are great for enjoying winter hiking through trails and forest. 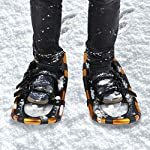 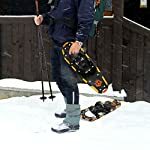 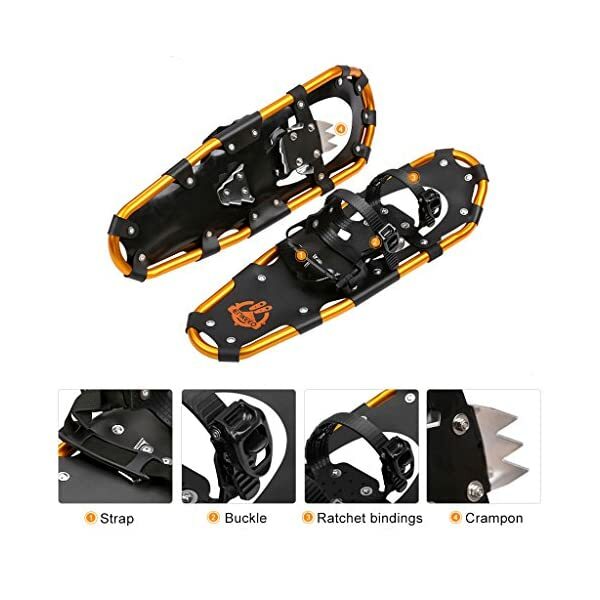 Comes with 4 sizes (18?¡¥?¡¥/21?¡¥?¡¥/25?¡¥?¡¥/30?¡¥?¡¥), the snowshoes feature a sturdy aluminum-alloy frame, providing a stable platform. 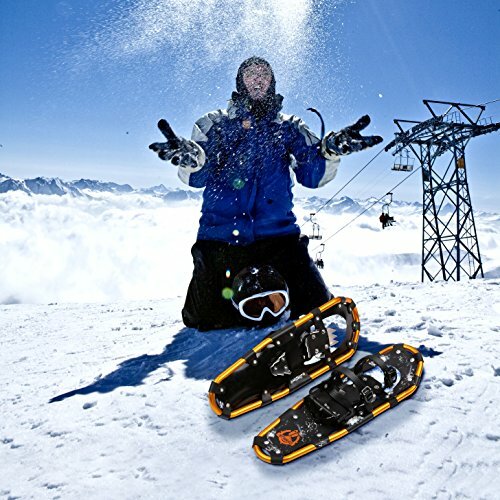 The prime quality PE decking offers long lasting heavy-duty usage in extreme weather conditions. 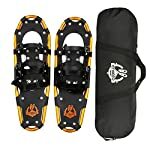 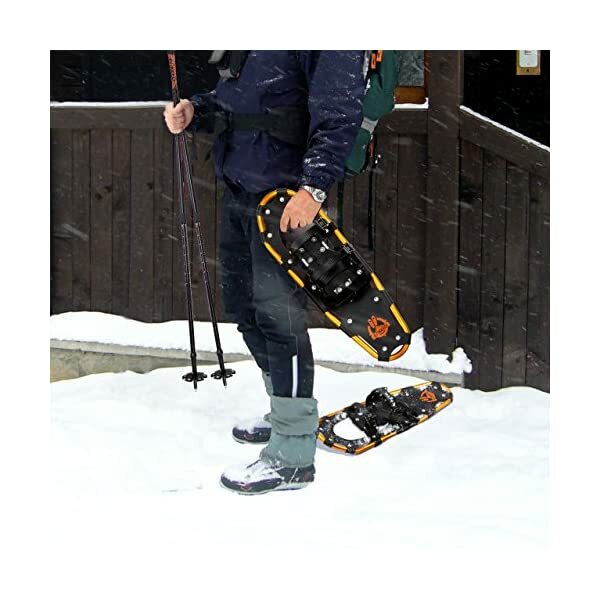 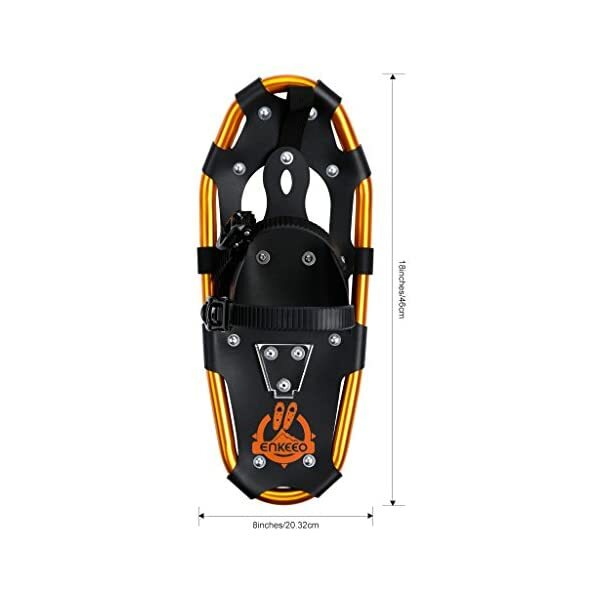 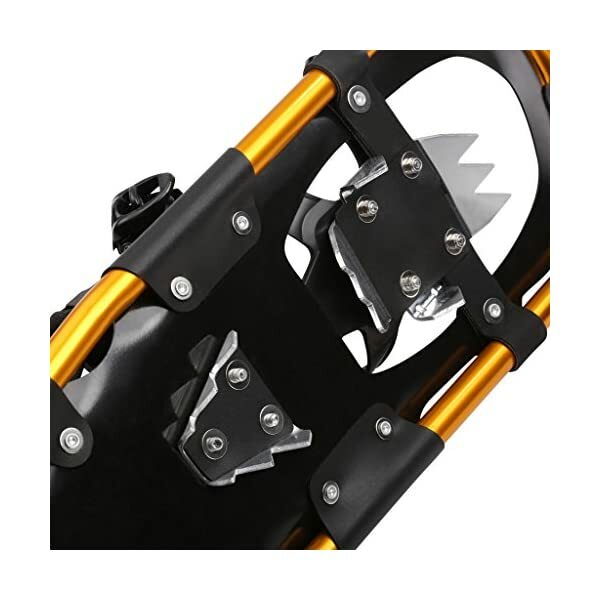 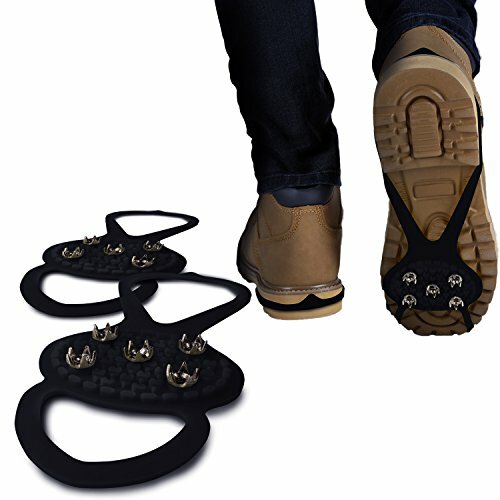 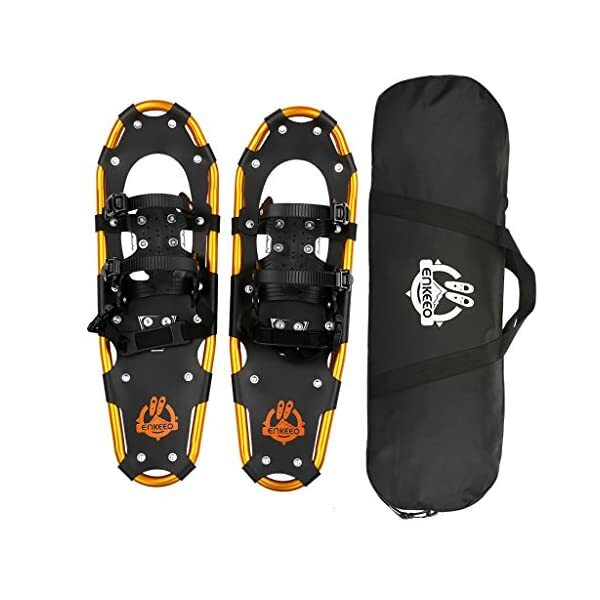 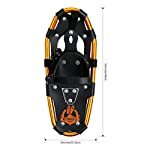 The snowshoes can easily adjust to most footwear and gear up to 80 lbs.,120 lbs., 160 lbs. 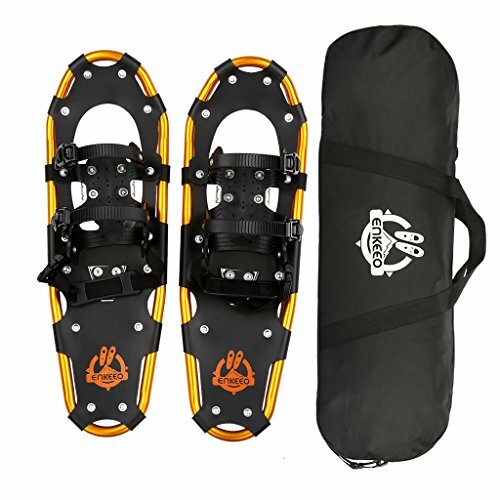 and 210 lbs. 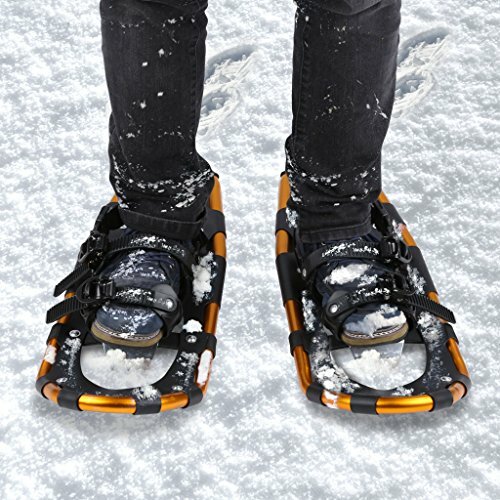 in turn.